Never before has Anderson .Paak released an album when the stakes have been this high. When he unveiled his last solo album Malibu at the start of 2016, .Paak was still the golden prodigy just beginning to come into his own, flush with artist co-signs and undeniable talent yet still building his public profile. In the years since, however, that album proved to be the pedestal he’s been searching for since he was a humble hopeful named Breezy Lovejoy, vaulting him into the spotlight as a do-it-all renaissance artist. 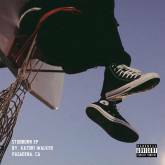 Now with all eyes on him as he hides himself behind tints, .Paak’s journey up the California coast has brought us to his California hometown of Oxnard, where .Paak attempts to paint a picture of the seaside community in all of its strawberry-infused glory. As soon as he drums his way into the foreground on “The Chase,” it’s clear that he’s no longer satisfied with the effortless, comfortable groove that permeated prior projects Malibu and the Knxwledge-assisted Yes Lawd!. Instead, he’s stretching for the skies with unrestrained ambition, testing his skills in uncharted waters via new soundscapes and bold production choices. He’s constantly reaching for something bigger throughout Oxnard, and he finds success on most of his attempts, especially when the instrumentation behind his signature vocals is lush enough to captivate the listener. On the standout “Anywhere,” the warm, hazy funk sets the scene, as .Paak welcomes Snoop Dogg to the party to kick off the song with a bang. “Headlow” is just as engaging despite living at the opposite end of the spectrum, as .Paak cooly boasts of his sexual conquests over a grungy guitar riff that reaching a gushing climax on each chorus. Structurally, .Paak is just as ambitious on Oxnard, frequently utilizing beat switches and two-part songs on an album that strives to be as sonically diverse as possible. Too often, however, the strategy works in his detriment, with the latter portion of the song outshining what plays through the speakers during the earlier minutes. 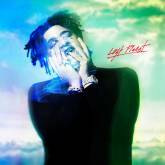 Where the first half of “Smile/Petty” is too plain and subdued to suit the singer’s colorful vocals, the second half succeeds as an experimental display of prowess, his fragmented delivery on the chorus contrasting the ethereal choir that sparkles between verses. “6 Summers” seeks to incite a riot with unruly guitars and defiant proclamations, yet stumbles without the belligerent percussion to match; once he smooths it out on the second half to rip into Donald Trump and plead for reform, it’s a much more compelling scene. Similarly, the first half of “Brother’s Keeper” feels like an undeserved display of grandeur as the production rings too hollow to support the weighty declarations from .Paak and Pusha-T, while the free-flowing instrumentation that brings the song to the finish line is fully mesmerizing behind the crooner’s passionate notes. Perhaps the most egregious misfire arrives on “Mansa Musa,” where .Paak tries to rap over a beat that sounds more like the theme song for an 8-bit video game final boss than anything resembling the ancient, opulent sultan who once ruled the Mali empire. 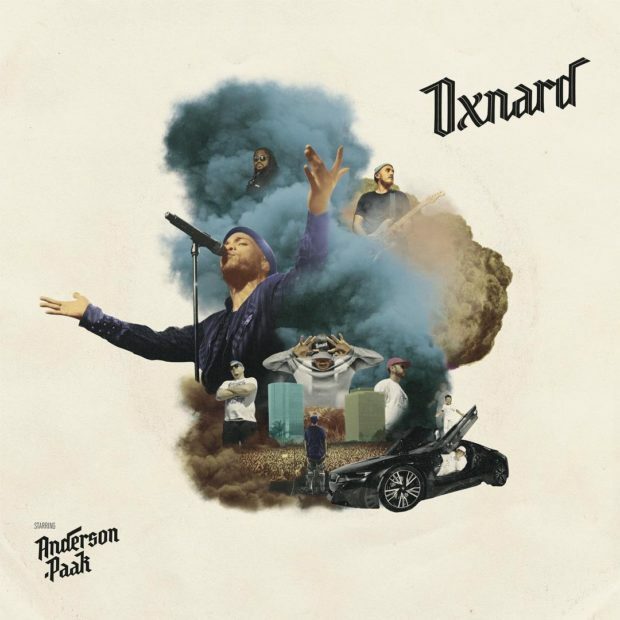 Dr. Dre has done much to boost .Paak’s image after spotlighting him on the Compton album and mixing the entirety of Oxnard, but his lone verse on this Aftermath debut fails to engage the listener due to its lack of charisma. Still, the unblemished run of songs from “Anywhere” to “Sweet Chick” is more than enough to make up for Oxnard’s low points. Once “Anything” and it’s hypnotizing groove subsides, heavenly arrangements on “Trippy” float the listener above the clouds, dreamily swirling about as .Paak confesses to his love interest “you and I will always meet, somewhere in between.” J. Cole’s enters relatively abruptly with a more heavy-handed delivery than his companion, but his vivid, relatable storytelling still does much to make the heartfelt scene even more dynamic. As the energy swells back into form with every percussion hit on “Cheers,” .Paak pays his tributes to Mac Miller and the rest of his fallen comrades on a sentimental ode that finds him looking back on his journey from atop his newfound throne. After it’s over, the celebration that Oxnard truly deserves finally arrives on “Sweet Chick,” where he and BJ the Chicago Kid trade comedic stories about the women in their lives and their various traits. Already filled with personality and joyful energy, it’s boosted even more by the trumpeting instrumental, that’s more satisfying than a plate of soul food on a Sunday afternoon after leaving church for the day. Rarely do two moments sound alike on Oxnard, yet for the most part it all comes together seamlessly for a blistering hour of music. Even when certain songs don’t work as intended, .Paak’s ability able to confidently weave between styles and take so many risks on such a highly anticipated album is worthy of applause, adding to the overall impressiveness of the project. It may not be as beautifully consistent as Malibu, but during those glorious pinnacles when Oxnard is firing on all cylinders, it’s undeniably some of the best music of 2018.